Since one of TNA’s “big 4” PPVs in live tonight (Lockdown), I figured it was about time I was able to examine TNA Wrestling a little more closely in 2013. Now it’s no secret I’m a TNA fan… or I should say was. It’s not just what they’ve done to the product over the last few years or the people they’ve brought in or pushed, it’s more of the fact that I just don’t have time for TNA. Since WWE has moved Monday Night Raw to 3 hours every week, I cover a “10 Thoughts” column on that show, follow that up with writing news articles from the fallout of a 3 hour show as well as the next day’s taping of a 2 hour SmackDown and trying to keep up with what is going on in the constantly improving NXT developmental territory. 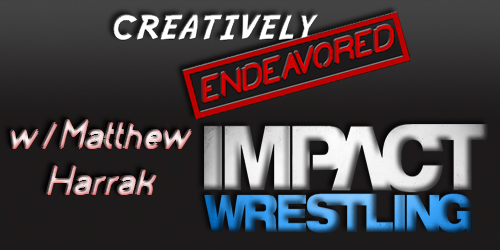 Plus the addition of a podcast Thursdays (The Creatively Endeavored Wrestling Pulsecast that you can find on BlogTalkRadio.com or on iTunes) and monthly interviews with the likes of Jake “The Snake” Roberts, “Diamond” Dallas Page, Rob Schamberger, Adam Cole and more. God forbid it be a PPV week as well! And that’s just my “wrestling business” life! While I work on these passion projects, I also have a day job to pay the bills, a Victorian house from the 1800s that we’re still trying to get settled into & renovate, a 2-year-old that epitomizes the “terrible twos” while being wickedly awesome at the same time and a wife who tries to support me in everything I’m trying to do while also carrying a baby! The Harrak household is just one project, chore, event, job or playtime after another with hardly time to sleep or eat. When we first moved into our home, we decided to “name” it “Serenity” as it was our one safe haven (and that Firefly was a badass TV show). But now I’m thinking we might need to rename it to “The Thunderdome”. Unfortunately the piece that’s been left by the wayside in all of this has been TNA. The problem is that I WANT to watch TNA. The same way that I always WANT to LIKE Impact. A part of me always has a soft spot for the little company that grew out of the fairgrounds into a theme park and now out on the road. Despite all the bad decisions and pitfalls of the past, TNA is growing. It’s taking that next step we all thought it should, it’s taking its main TV show on the road to arenas across the nation. I’m excited for that and I feel justified in feeling that way. But in preparation of tonight’s Lockdown PPV, I made sure to do my due diligence and catch up on all the Impact shows I have missed since the last PPV. It took me a lot of YouTube hours but I got through them and while as expected there was some bad, there was also a lot of good scattered throughout the 12 hours of TV. But instead of giving you a 10 Thoughts column on each and every week of Impact, I figured it would be better for all of our sanities to combine these shows into this one, pre-PPV article. I don’t know if I’ve ever seen two more unimposing “bikers” in my life. The addition of D-Lo Brown was obvious from the beginning and while I had my doubts at first, I saw the promos he cut on this last episode of Impact and remember just how good of a stick man he really is. As long as he’s only regulated to the microphone, there might be a way to save this angle yet. That is if they are smart enough to get Taz off of commentary (or out of Aces & Eights) and to NOT reveal Eric Bischoff as the “president” (which I think we all believe will happen). Bubba Ray Dudley, Buh-Buh Dudley, Brother Ray & Bully Ray. 22 years in the professional wrestling business at 41 years old and the man Mark LoMonaco is having the absolute best years of his career, both in the ring and out. Ray is consistently the best part of Impact, his promos feel real, his work ethic has become top-notch and the management brass has given him the opportunity to sink or swim on his own. And he’s swimming like Michael Phelps (when the gold medalist wasn’t high). The fact that he’s involved with both Hulk and Brooke Hogan is TNA’s way of giving him the golden rub even if the average TNA Wrestling fan would prefer that this wasn’t a part of Bully Ray’s ascent to the main event. 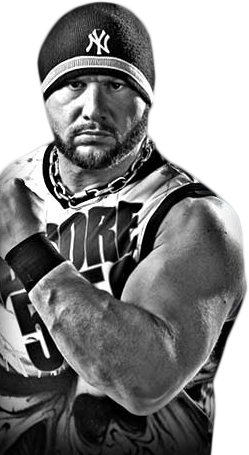 Very few people ever expected Bully Ray to become a World Champion, in any major organization. But Ray IS 41 years old and the time to strike for him is now. If this current push doesn’t end with a Bully Ray title run, I highly doubt the perennial tag team champion will ever become a world champion. On September 11, 2009, Jeff Hardy was arrested on charges of trafficking in controlled prescription pills and possession of anabolic steroids, after a search of his house yielded 262 Vicodin prescription pills, 180 Soma prescription pills, 555 milliliters of anabolic steroids, a residual amount of powder cocaine, and drug paraphernalia. On March 13, 2010 at the Victory Road PPV, Hardy lost to Sting in a 90 second main event match when Jeff stumbled down to the ring clearly inebriated. The next day, TNA severed all storyline ties with Hardy and was left off of TV until August of 2011. Since his return, Hardy hasn’t even placed a pinky toe out of line and has been a model of professionalism and sobriety. Where or how this sudden change happened, no one is really sure but it seems to be sticking. When TNA took the chance of putting their world title on Hardy, EVERYONE questioned the decision. But since October of last year, Jeff Hardy has been the cornerstone of the company, turning in great performances against Austin Aries, Bobby Roode and Christopher Daniels. In 2010, Jeff Hardy was never supposed to wrestle in a major company again. Now in 2013, he’s proven everyone wrong, grown as a person and performer and can truly be looked at as TNA’s #1 guy. I don’t know how he’s doing it but here’s hoping he stays on the right track. Austin Aries. James Storm. Kenny King. Magnus. Samoa Joe. AJ Styles. These are just some of the men on the TNA roster that are 35 years of age or younger. I’d say that pretty much any promoter in the world would start a company with these 6 guys as their core roster. That makes TNA’s immediate future very bright. Add in veterans like Kurt Angle, Bully Ray, Sting, Mr. Anderson, Jeff Hardy & Christopher Daniels and it APPEARS as if TNA is on the cusp of that rare time in wrestling when your roster is the perfect blend of young guns and veterans. The last great time period we witnessed this there were two companies that took over pop culture. The WWF had Bret Hart, Shawn Michaels, Sid, The Undertaker, Vader, British Bulldog and Owen Hart along with “blue chippers” like The Rock, Triple H, Steve Austin, Matt Hardy, Jeff Hardy, Edge and Christian just to name a few. WCW had Hulk Hogan, Kevin Nash, Scott Hall, Randy Savage, Ric Flair, Sting & Lex Luger while developing Chris Jericho, Eddie Guerrero, Rey Mysterio, Bill Goldberg, Chris Benoit, Booker T & The Giant. I am no way saying that today’s TNA is as good as either of these rosters but the potential for a roster like either WWF’s or WCW’s from 1997 is there if the stars align. It’ll take work, commitment, good writing/booking and consistency. TNA has the cards in place. They’re going on the road full-time and have a mixed roster full of potential. If they capitalize on that now, I think we’ll be seeing even more improvement from the small territory that started in fairgrounds only 11 years ago.